Over time, the left began to favor the concept and it was the right, led by Margaret Thatcher, that voiced opposition. In 1993, the European Communities transformed into the European Union, EU, as a result of the Maastricht Treaty. The U.K. was a full member of the EU and seemed set to remain a member indefinitely. 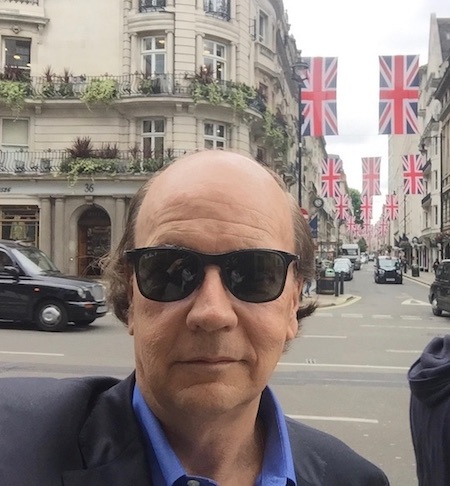 Your correspondent on St. James’s Street in London during a recent visit to the U.K. The period 2016–19 has been one of the most politically fraught in U.K. history. A referendum on exiting the EU (“Brexit”) was announced in February 2016 and held in June 2016. Subjects voted to “leave” the EU, but that vote merely started the turmoil and did not resolve anything. Politicians have been arguing over Brexit terms ever since. While the U.K. joined the EU, it did not join the eurozone of countries that adopted the euro as a common currency. The U.K. rejected the eurozone and maintained its currency as the pound sterling (GBP). Given the size of the U.K. economy (fifth-largest in the world), this made for an awkward relationship with other major EU members including Germany, France and Italy, which all adopted the euro. Yet the economic benefits of EU membership, including free trade and the “passport” concept (a business licensed in one member country can expand throughout the EU with minimal registration requirements) were undeniable. Both the EU and U.K. prospered as a result. Still, opposition to EU membership never disappeared in U.K. politics. The right’s concerns were transferred from the Tories to a new U.K. Independence Party (UKIP), which grew in popularity from the 2010s forward. Despite UKIP, Euroskeptics remained a force in Tory politics. The U.K. held a general election in 2015. Tory leader and Prime Minister David Cameron promised a referendum on leaving the EU as a way to shore up support from the Tories and attract votes from both Euroskeptics and some UKIP members. Cameron’s party won, and in February 2016 he announced the referendum scheduled for June 23, 2016. Cameron would probably have won the election without the referendum pledge. His decision to hold the referendum was based on his overconfidence that the U.K. as a whole would vote to remain in the EU. This turned out to be one of the greatest miscalculations in the history of U.K. politics. On June 23, 2016, the U.K. voted to leave the EU by a margin of 52% for leave and 48% to remain. Cameron promptly resigned as prime minister and party leader. He was succeeded by the current prime minister, Theresa May. Theresa May favored remaining in the EU but promised to fulfill the will of the voters by commencing the negotiations to leave. On March 29, 2017, the U.K. formally notified the EU of its intention to leave under Article 50 of the Treaty on European Union. May compounded her political difficulties by calling a snap general election scheduled for June 8, 2017. May expected to expand her Tory majority to give her more leverage in the Brexit negotiations. The opposite happened. May lost her majority and had to form a coalition with the Democratic Unionist Party (DUP) of Northern Ireland to remain in power. However, the DUP favored a “soft Brexit” (leaving the EU relationship mainly intact), which further limited May’s negotiating power. May’s snap election decision was as misguided as Cameron’s referendum decision. Together, the two elections left the U.K. in the worst possible position when it came to Brexit itself and the exit negotiations. 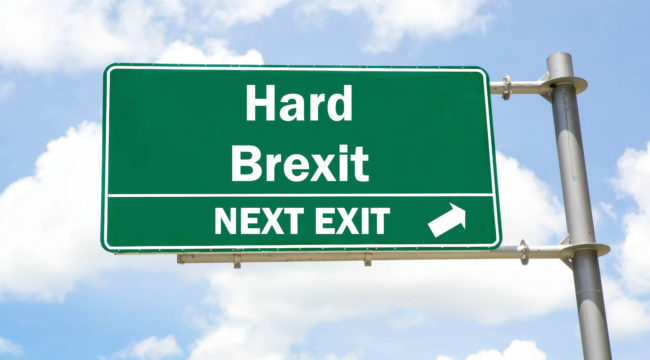 The biggest political problem in the negotiations is that the 2016 referendum offered two choices (“leave” and “remain”), but the political parties have argued over four choices: a “hard Brexit” with no exit plan, a “soft Brexit” that retains features of EU membership, a “no Brexit” that wants to leave things as they are, and a “new referendum” that hopes to undo the results of the 2016 referendum. All of these choices are highly problematic. A hard Brexit could lead to financial and economic turmoil along with damage to the U.K. economy for years to come. A soft Brexit lacks support from the Euroskeptic hard-liners. The no-Brexit approach is viewed as a betrayal of those who voted to leave and could lead to demonstrations and civil unrest. The new referendum approach favored by globalists at the Financial Times and Economist is also a betrayal and could shock the political class by producing another “leave” majority, despite expectations to the contrary. Political differences aside, a four-way division means there is no majority for anything. Successive votes in the Parliament have resulted in one plan or the other being defeated, but no single plan gaining support. The U.K. Parliament members have been playing a gigantic game of chicken with the fate of one of the largest economies in the world hanging in the balance. The Brexit talks between the U.K. and EU have continued for the past two years. Some political posturing was always to be expected. Significant progress has been made. But now the crunch has arrived. The deadline to leave the EU is March 29, 2019, just four days away. Yet regardless of the outcome, the prospects for the U.K. economy are decidedly negative. Either a hard Brexit or soft Brexit will damage the U.K.’s trading relations with the EU. The U.S. has recently announced its intention to renegotiate its own trading agreements with the U.K. in ways that can only lead to a reduction in U.K. exports to the U.S. The U.K. itself is caught in the global slowdown from which the only escape seems to be devaluation designed to import inflation, export deflation and stimulate exports. All paths point to a cheaper pound regardless of the specifics of the final Brexit plan. But we could soon see some real fireworks at a time when the global economy can least afford it.